The "Romania's National Day / Ziua Nationala a Romaniei" is almost here again... with military parades and official manifestations in most cities across the country, live concerts and festivals. 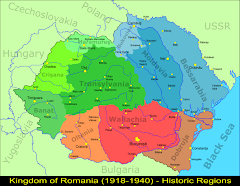 December 1st, the "Great Union Day / Ziua Marii Uniri" has been declared National Day since 1990, although it was celebrated since 1918, when all the historical Romanian territories were unified into 'Greater Romania / Romania Mare', under the Romanian Tricolor Flag (you may read more about it here: December 1st, Romania's National Day). * the Flag of the Socialist Republic of Romania, had the coat of arms with a red star and the words REPUBLICA SOCIALISTĂ ROMÂNIA. *Nowadays, the flag has only 3 vertical stripes, with no coat of arms or words on it. The Day of June 26th is the Day of the National Flag of Romania / Ziua Drapelului National. 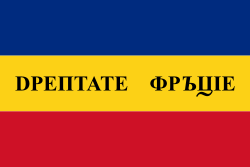 The meaning of the colors, proclaimed on 1848, June 26, is “Liberty (sky-blue), Justice (field yellow), Fraternity (blood red)/ Libertate (Albastru), Dreptate (Galben), Fratie (Rosu)”. 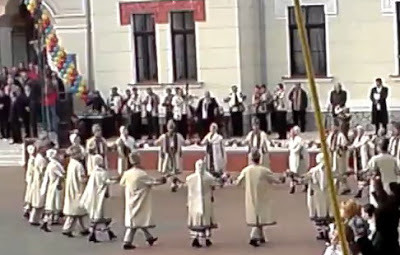 Anyhow, I'm waiting December 1st, to see how people will flutter the national flag and I hope they will sing / dance once again, in public places, the traditional "Hora of the Union/ Hora Unirii", the Romanian Hymn of the Union of the Principalities. 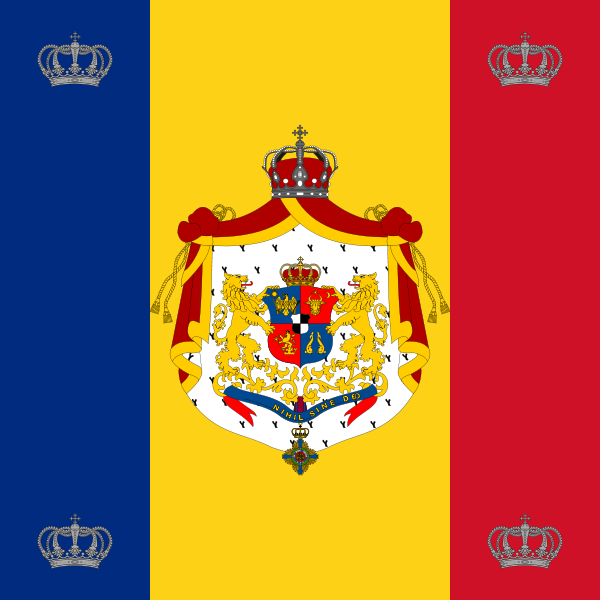 Happy National Day, Romania! La Multi Ani, Romania! Let's celebrate together with the "Sonnet I / Sonet I" verses of Romanian bard Mihai Eminescu (1850-1889). And in just one-hour rethink your life again. To daydream at a fireside, sleepily swaying your head. While thick mist has settled in layers around me. Then icy, delicate hands are covering my eyes. Si într'un ceas gândesti la viata toata. Sa stai visând la foc, de somn sa picuri. Iar mâni subtiri si reci mi-acoper ochii. Why I Love Romania? De Ce Iubesc Romania? We Wish You a Happy Birthday!